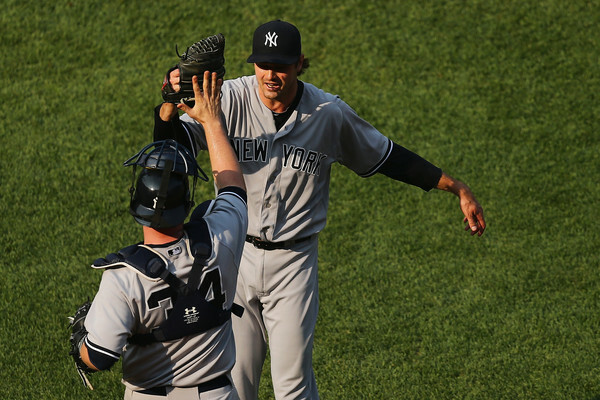 CLIPPARD'S BACK IN THE BRONX! I didn't see this one coming, but in reality, when you trade away all your closers, you need a guy with that type of experience to get through the season. I guess Tyler Clippard will be that guy. Here's the worst part... 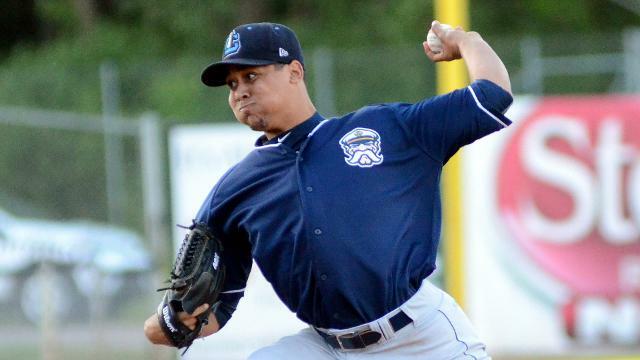 They gave away a guy that's been improving dramatically in the minor leagues... Vicente Campos. You remember Campos, right? He was the better half of that Montero-Pineda deal a while back. So much for replenishing and grooming our future, right? I kid, I kid. 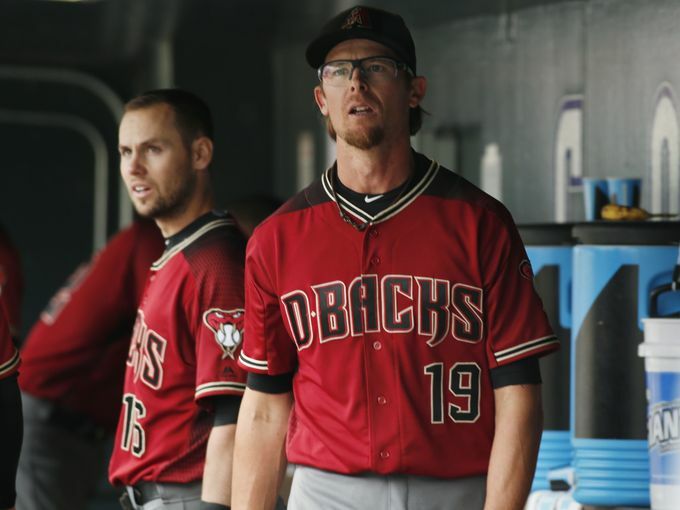 "The New York Yankees moved quickly to add bullpen help after trading Andrew Miller, acquiring reliever Tyler Clippard from the Arizona Diamondbacks on Sunday. 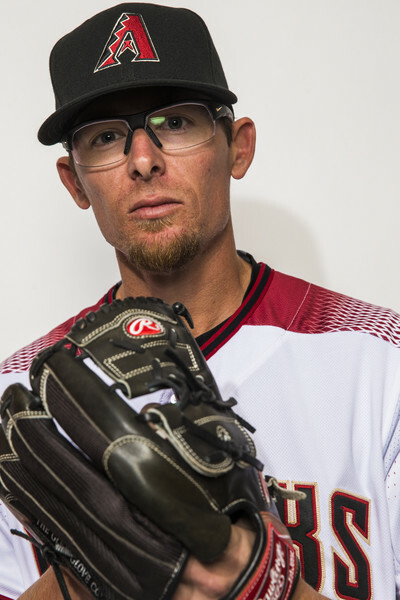 The Diamondbacks received right-hander Vicente Campos in return for Clippard. 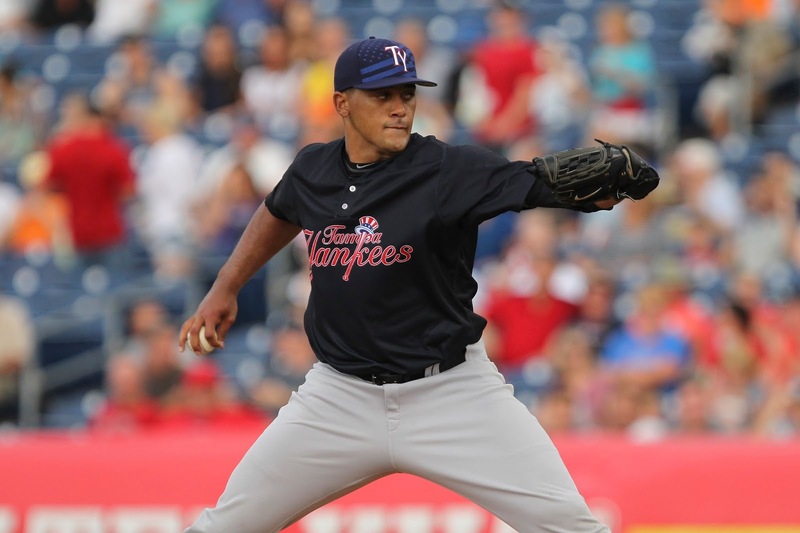 Campos, 24, is 9-3 with a 3.20 ERA in 20 starts across three levels of the Yankees' minor league system this season. Clippard signed a two-year contract with the Diamondbacks last offseason. He is 2-3 with a 4.30 ERA in 37⅔ innings this season. He also has one save." 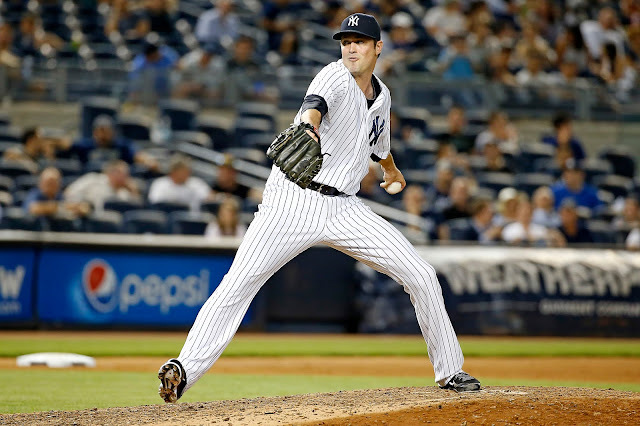 Now truth be told, I believe at this point Clippard should be setting up Dellin Betances. Let the kid close, you earned it. But I guess we'll see what happens now. 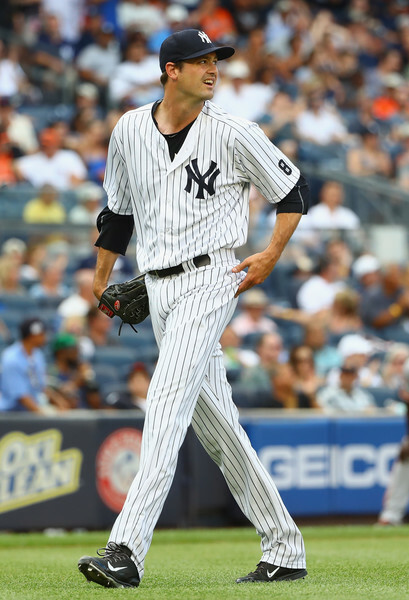 Anyway... welcome back to the Bronx, Tyler. Looking forward to seeing you back in pinstripes. FRUSTRATION IN THE BRONX! MILLER TRADED! 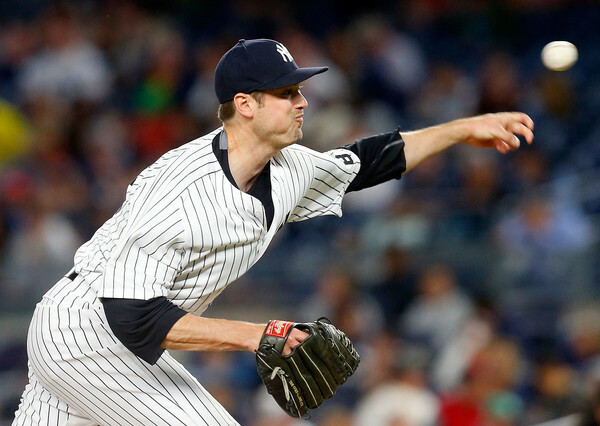 Hey, we just wrote TIME TICKIN' 'TIL TRADE DEADLINE, BUT IT'S STILL MILLER TIME IN BRONX! here at BYB and we were feeling pretty good. I mean, I think deep down we knew that Andrew Miller was gonna be traded, but we just didn't want it to happen. But we should have known. 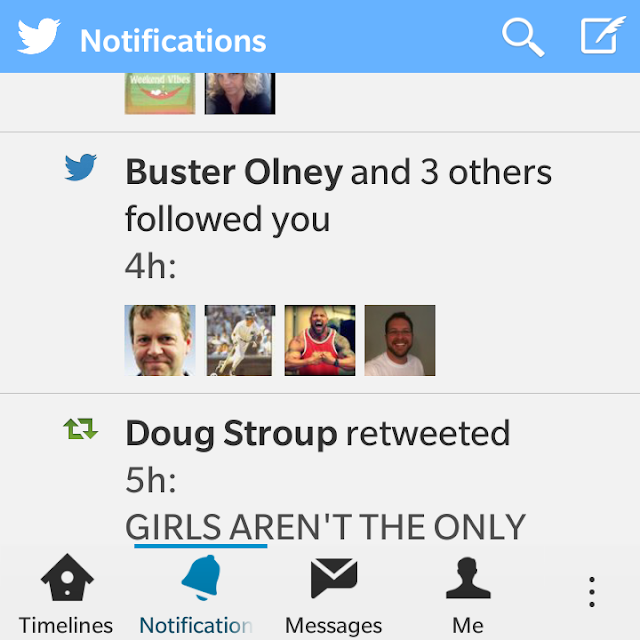 We should have known when a fake Buster Olney decided to follow me on Twitter last night and then this morning the real Olney came out with a tweet about it. I should have known by the pouring rain in the Tri-State area last night and then me having a crappy night sleep. 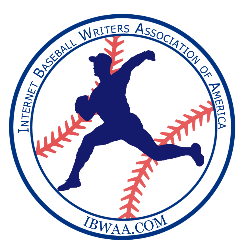 We all should have known it was coming after tweets came out from every "baseball insider" in the world this morning as they were falling all over themselves to trying to be right. 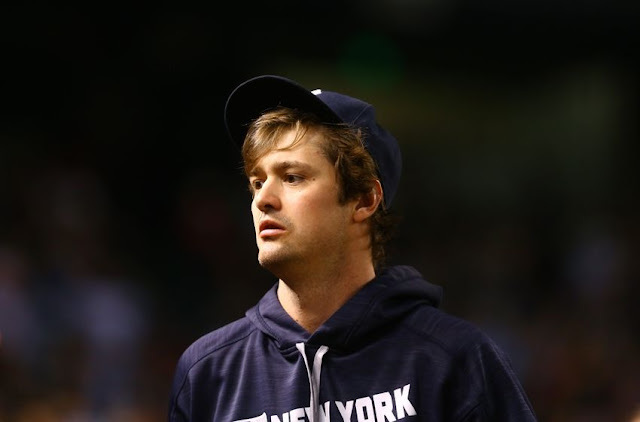 We waited and we watched at BYB... and now we can confirm some info involving Andrew Miller. He's been traded... to Cleveland and the Yankees get four! 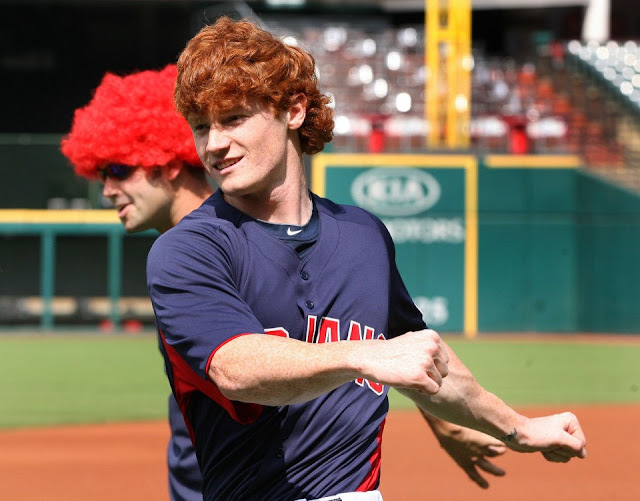 Yankees expected to get Indians prospects Frazier and Sheffield and others in the trade for Andrew Miller. 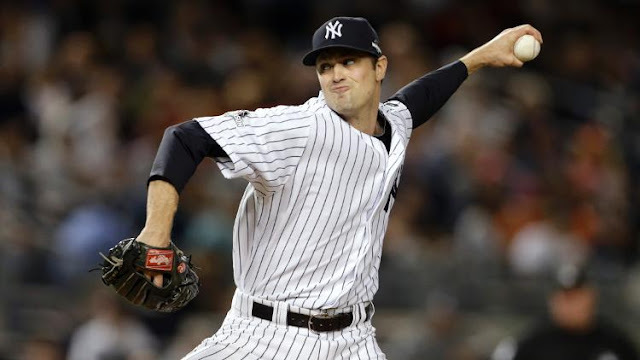 Sheffield was drafted by Cleveland in the first round of the 2014 draft...Minor league pitchers Ben Heller and J.P. Feyereisen are also heading to New York..."
And it's sad, very sad because Yankee fans got to love Miller and now there is no Miller to close things out in the Bronx. But don't get it twisted... this is a haul, the type of haul you NEED when you dangle a guy like Miller. It's significant, but sad all the same. And there you have it. Chapman is gone, and now so is Miller and that "No Runs DMC" shirt you bought can hit the trash can today, never to be worn again... you've been had. And life goes on in the Bronx. 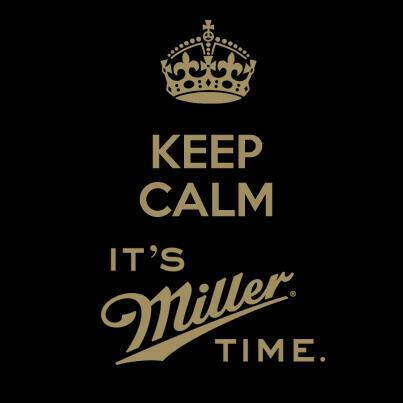 TIME TICKIN' 'TIL TRADE DEADLINE, BUT IT'S STILL MILLER TIME IN BRONX! Could the Dodgers move Yasiel Puig? 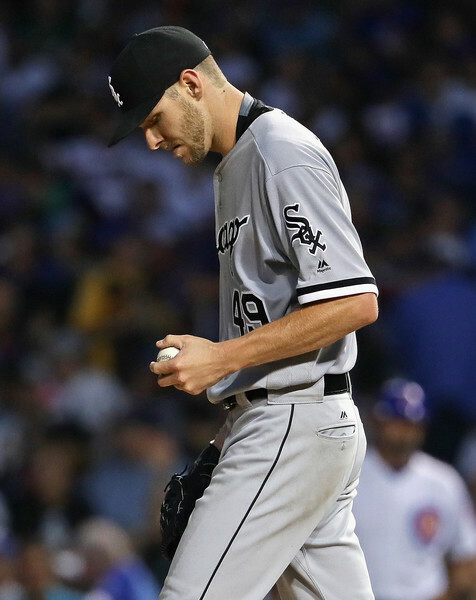 Will the White Sox be selling off parts of their team prior to the deadline? Are the Yankees in the hunt this year or not? Could Brian McCann go back to Atlanta? These are the puzzling questions I have in my head thanks to the MLB beat writers' Tweets. 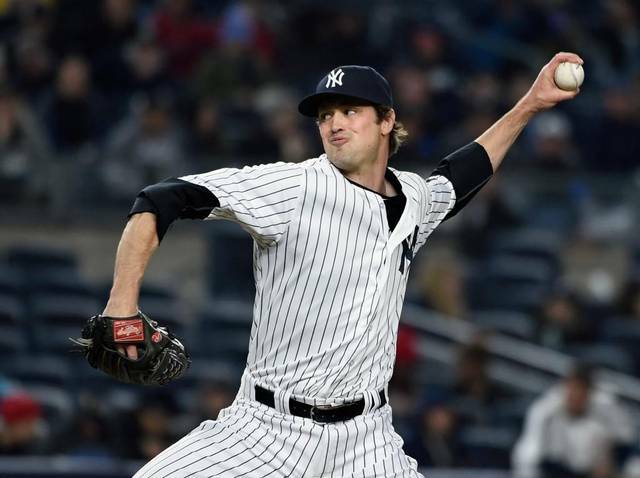 The one question that has been answered as of late Saturday afternoon, which has brought sweet music to my editor's ears, is that Andrew Miller is staying put and I think for good with the Nationals-Pirates deal. Pittsburgh's closer Mark Melancon is headed to DC in a three-player deal. Heading back to Pittsburgh will be young lefties Felipe Rivero and Taylor Hearn. Inhale and slowly exhale. 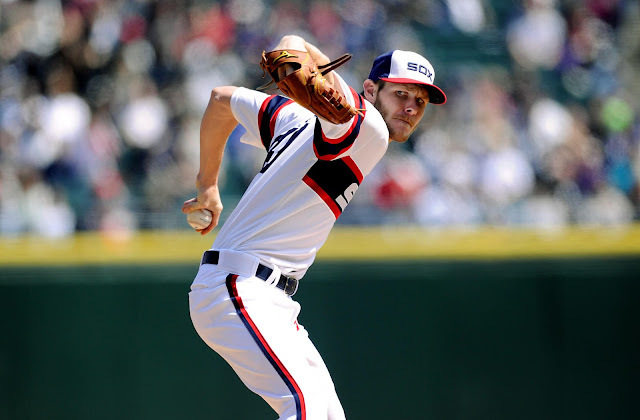 According to the NY Post Saturday, "Teams such as the Indians, Dodgers and Rangers could still play for Miller. But the Nats were seen as the most viable player — another sign that Miller is going to stay a Yankee." 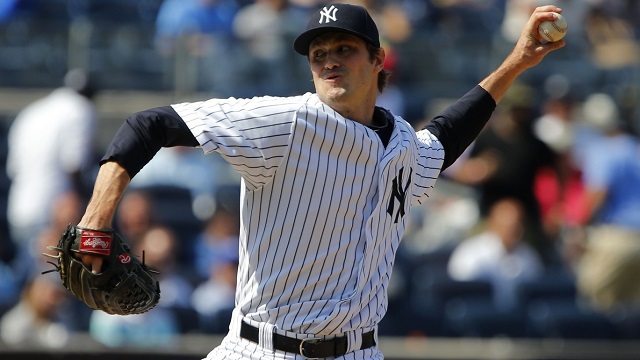 So, it's still Miller time in the Bronx, at least for now. But could the exit sign be lit up for catcher Brian McCann? According to Jon Heyman, "The Texas Rangers and Atlanta Braves are believed to be two of the teams that have talked to the Yankees. 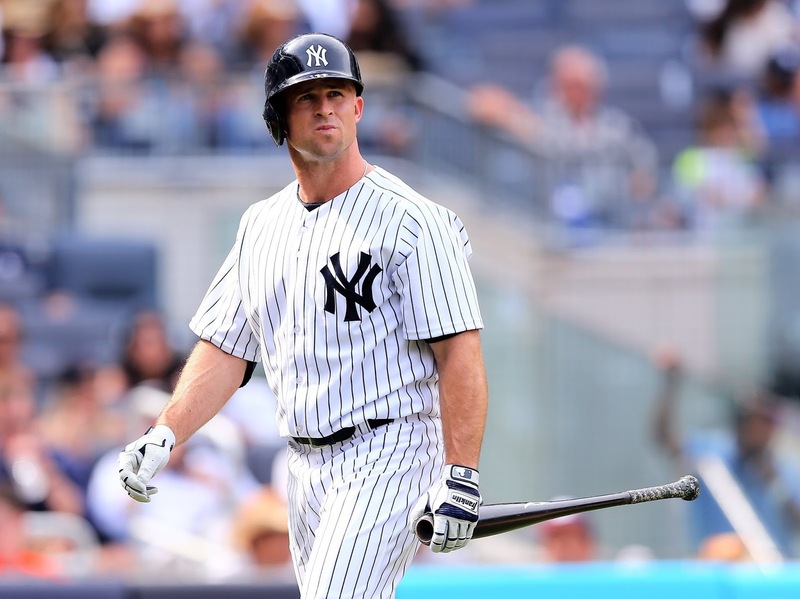 Rival GMs say they like McCann for “makeup” reasons, but the Yankees would have to pay his contract down significantly. He has a full no-trade clause." Not sure the Yankees want to do something like that, but it certainly would allow for more playing time for Austin Romine and open the door for top prospect Gary Sanchez to enter more quickly. There are also a number of other Yankee catcher prospects in the farm system that could make their way up the ladder more rapidly with McCann's exit. I like the way this sounds. Now what about Texas? Are they going to put all of their efforts into the White Sox's rotation? This could happen as they remain in hot pursuit of the post season. 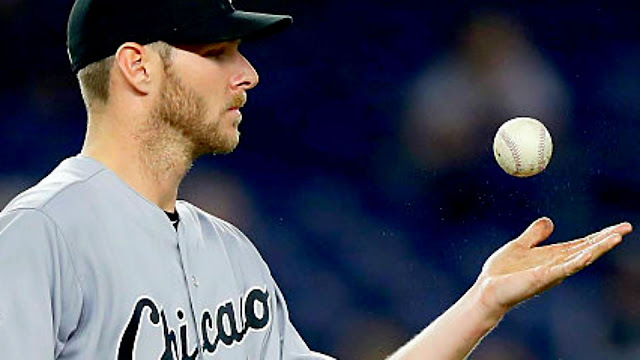 According to CBS Sports, "The Rangers are hot after a rotation upgrade, and as Ken Rosenthal tweets they continue to talk to the White Sox about not only ace Chris Sale but also No. 2 man Jose Quintana. The price for either would of course be high (each hurler is excellent and locked up long-term), and as Rosenthal indicates the two sides right now seem to be far apart in discussions. There's still time, though." 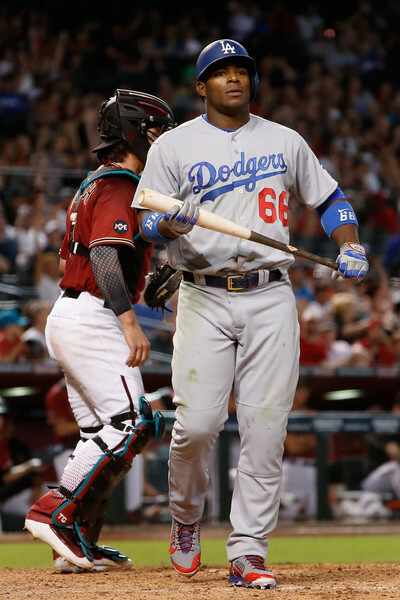 Finally as our buddy, Los Angeles Sports Writer Howard Cole, writes "The bidding of farewell to Puig is not something that I dream about, however. I will miss him when he’s gone. If he is gone. I’ve been entertained by his performance, and I see all kinds of potential going forward." With Clayton Kershaw sidelined for the rest of the season or more, the Dodgers need to freshen things up but as Cole writes, hopefully not with the Division rival Giants. Again the curse of Daniel Murphy enters my busy head as the Mets continue to plummet in the standings. They may be looking to pick up Brewers catcher Jonathan Lucroy, who was rumored to be a piece in the proposed trade that would send Miller to Milwaukee. Oh God, all things come back to that nightmare. I'm not a beer drinker, but I may have to have one to celebrate Andrew Miller's canceled trip to DC and Milwaukee. 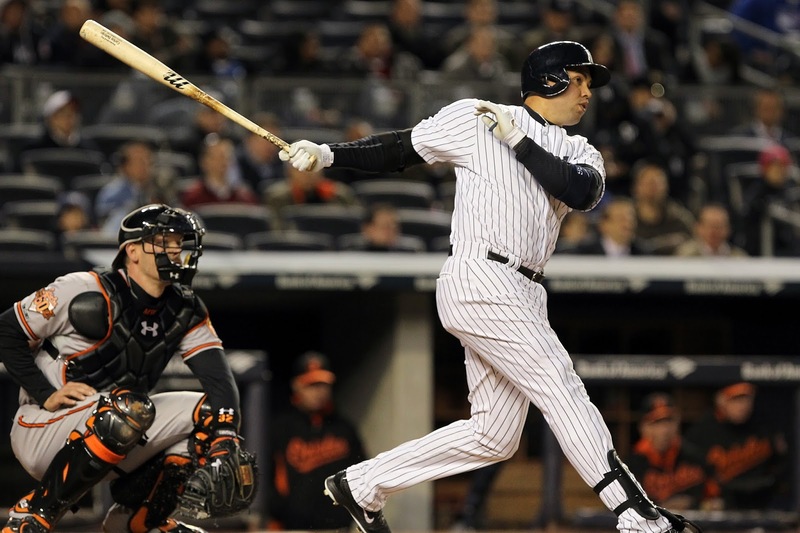 He has been a rock, a constant in a Yankee club that has so much disarray. Between him and Starlin Castro, I have hope that maybe we can put something together between now and next April. But for now folks, things are a changin' and no one's safe in this seller's market! 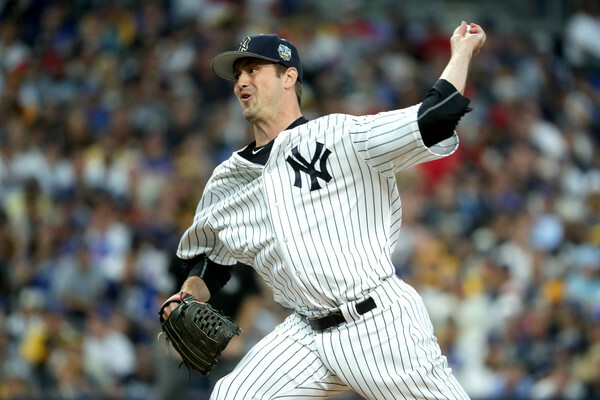 We received a ton of comments and email telling me your thoughts on why I'm wrong about wanting to hold onto Andrew Miller. If you aren't familiar with that piece, be sure to read I DON'T UNDERSTAND THE MILLER RUMORS... so you can get up to speed with my position on Miller. Anyway, because we're cool here at BYB and believe that all voices should be heard, we wanted to share some of the pretty great opinions on all the Miller rumors. Enjoy this, and to all of you that wrote us, thank you! We appreciate the dialog very much. 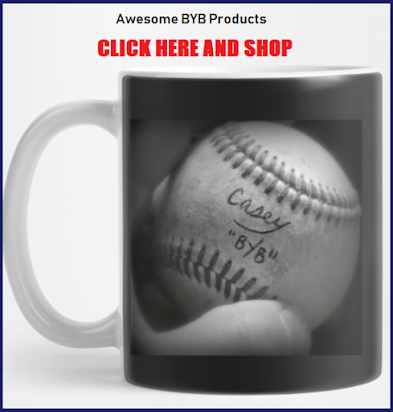 Now go Buy a BYB shirt. "Miller's value is insanely high right now. He's relatively cheap. Controllable for 2 more seasons, and very, very good. The Yankees also don't need to trade him, which gives them great leverage in negotiations. Many teams in the hunt right now are ones that have not won a World Series in several generations (if ever). I don't think you can let the current streak delude you into a false sense of hope. This is still a team with, at best, a 5% chance to make it to the ALDS. It is not a particularly good team, and next year is likely to be worse. We could trade Miller next year, but he'd be another year older, with one year less control, and who knows if he stays as good or healthy. The soonest this team could be a solid contender - not just a fingers-crossed Wild Card hopeful- is 2018 or 2019. 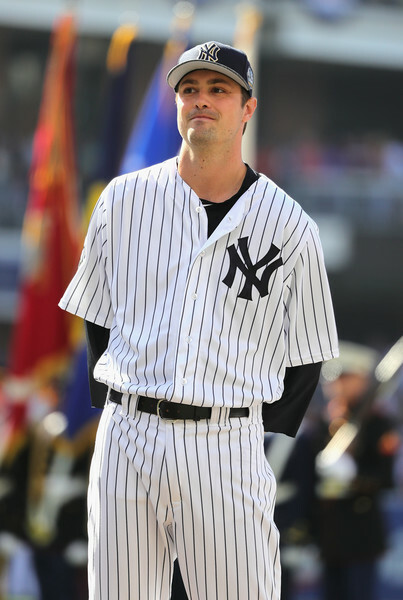 I would rather get young players with an eye towards that target than keep the older vets, no matter how much I may like them (I've advocated trading Gardner for the past 3 years, and he's been my favorite Yankee since Bernie retired). At this point I would be trying to move everyone who is unlikely to help beyond 2018 - including McCann and Tanaka. Heck, I'd even be open to selling Betances if the offer was right. 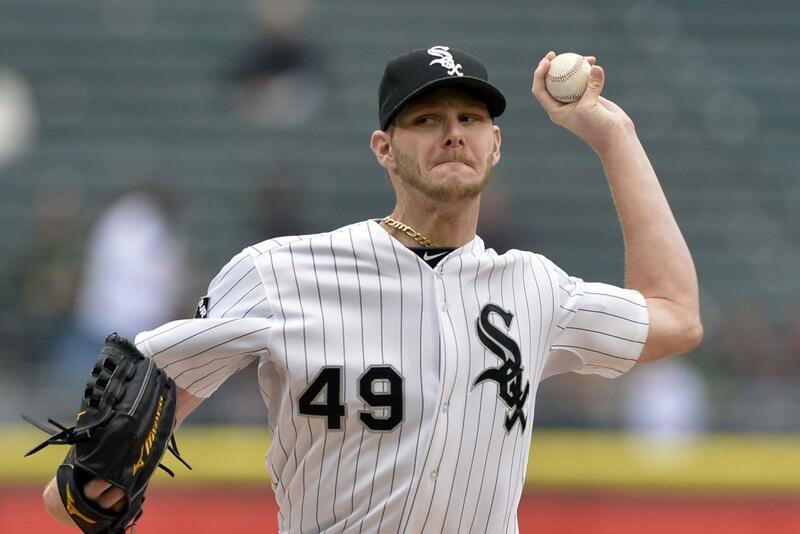 A good bullpen is important but takes a back seat to a good lineup and rotation." "I agree 100%. 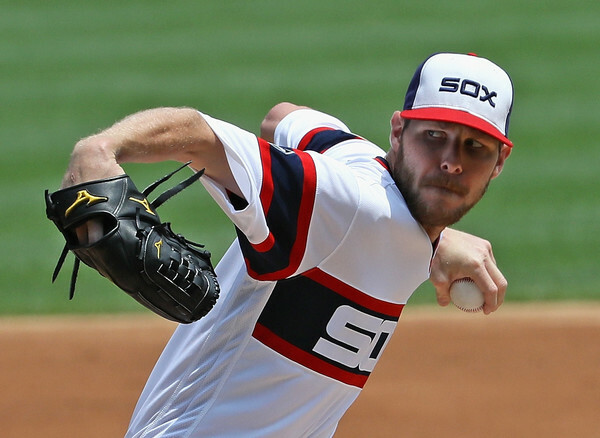 I don't trade anyone else unless it's minor leaguers for Chris Sale...Too many fans equate prospects with dynasty,which is delusional. Jesus Montero was supposed to be a sure thing and look where he is now. 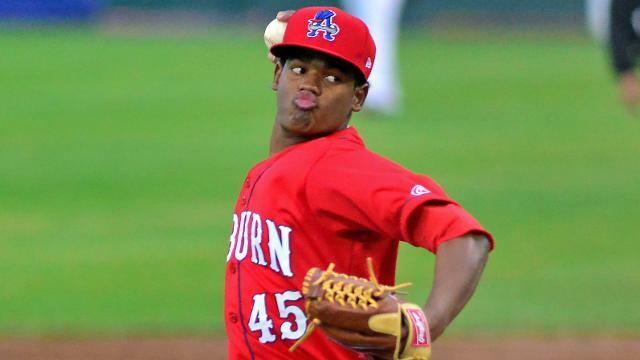 All the prospects could turn out to be Monteros,or Brien Taylor even." "I think that it is the common belief, that Miller is not going anywhere. If you trade him, likely with one or no years left on the contract so you've gotten some use out of him and still get some value back as he's diminishing and could possibly leave via FA. Unfortunately, I think Beltran is staying too, we could lose him at years, end for nothing. I hear there is not much demand for Beltran, Cashman will need a good haul, both present MLB players and prospects to give up one of his two quality hitters and pass Hank." "A hot streak is no reason to ignore the fact that this isn't a Championship caliber team. If we can get 2-3 upper tier prospects, or even a major league ready piece it would be the smart thing to do in order to load up for 2017. 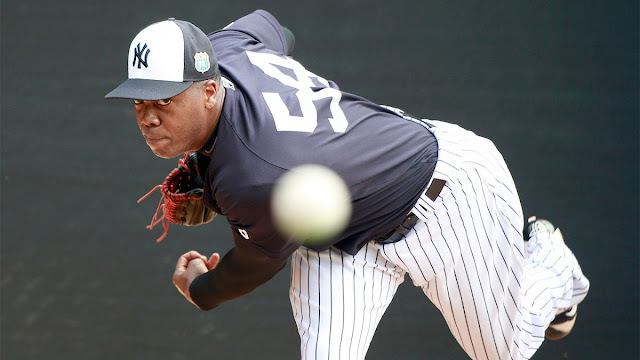 We could always re-sign Chapman in the off season to join Betances in the bullpen." Terrific comments. 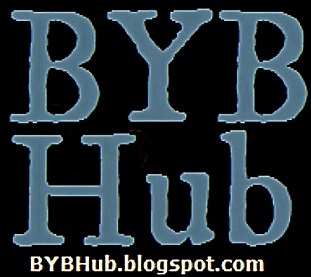 Smart, thorough, and great and I appreciate it very much here at BYB. Now who knows what will happen with Miller. I honestly don't want to see him go, but maybe some of these comments changed my mind. I need a day or 2 to think about it. Anyway, I hope you enjoyed this. 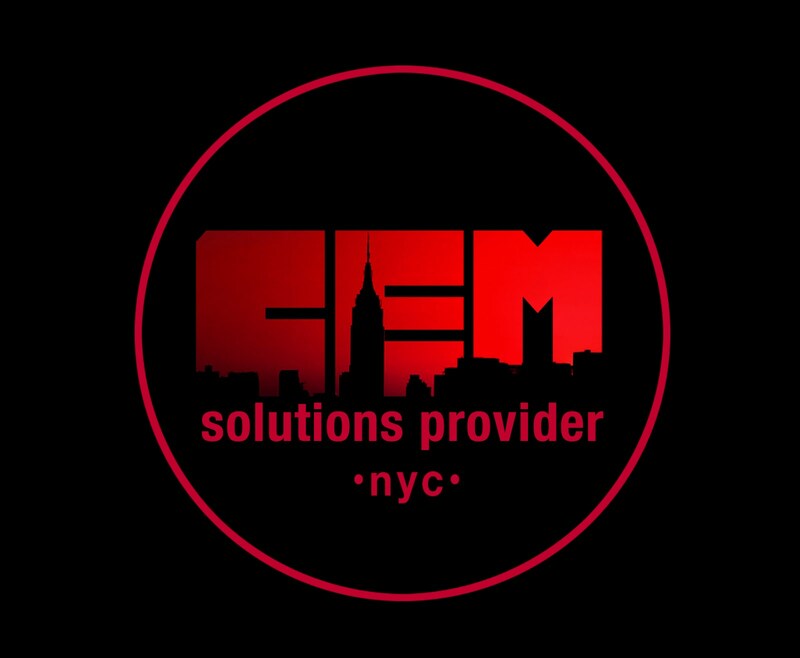 Here is an event we wanted to share with you. 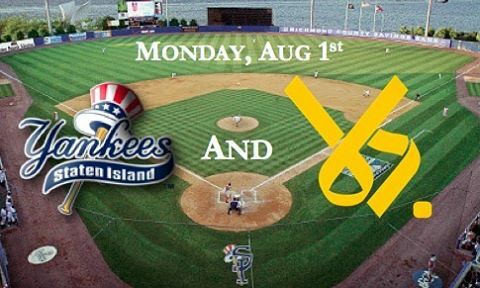 This coming Monday night, August 1, the Staten Island Yankees will be holding a charity event to help raise money for the fight against pediatric cancer. 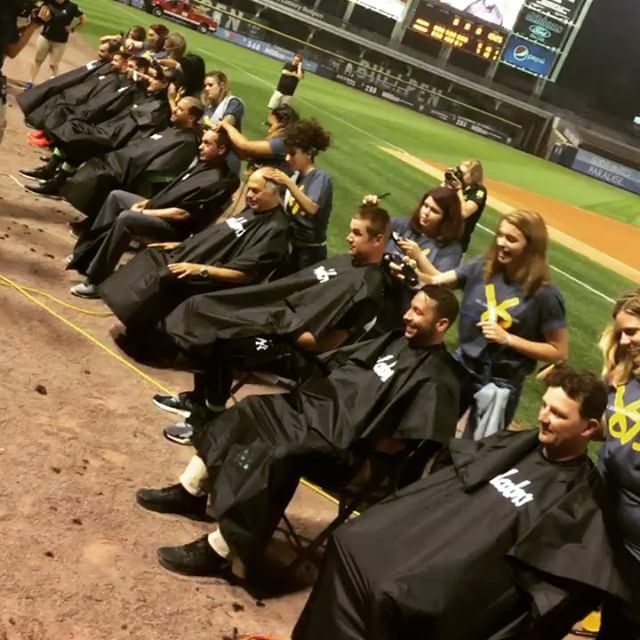 After the game, several players and members of the SI Yankees front office will have their heads shaved. It will be great chance to come out, support an important cause, and make a difference. 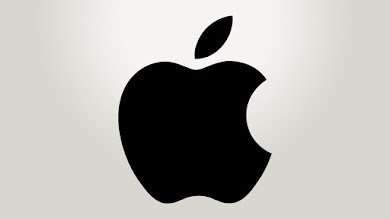 You can support the cause by going to the team's fundraising page. The Staten Island Yankees are doing this in partnership with the Vs. Cancer Foundation, whose mission is "a non-profit organization dedicated to saving kids’ lives by empowering athletes and communities to fund lifesaving childhood cancer efforts." They are running a campaign with MiLB this year and are encouraging all minor league teams to participate. Half of the money raised from Monday's event will go to national cancer research to help find a cure. 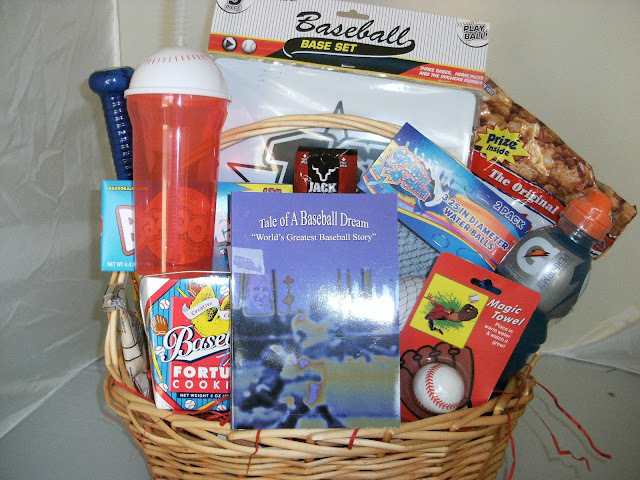 The other half will go to the local pediatric ward at SIUH Northwell Health. 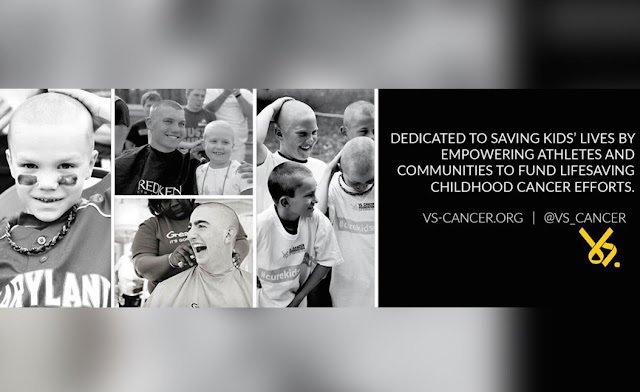 Pediatric cancer is a serious issue. The National Cancer Society estimates that there are about 10,000 news cases of cancer in children in the United States each year. Despite advances in research which have lowered mortality rates, one thousand children are expected to die from some form of cancer. Then there is the burden and difficulties of treatment, therapy, and recovery for the survivors. I have a friend myself whose son has been battling cancer for the last couple of years, As I see the pictures on social media that she posts, I can get an appreciation for how difficult the road is. Every little bit helps. I hope you come out and that you share this with your friends who are able to come out and donate. I will be there myself, happily supporting the cause. Who knows - maybe I'll volunteer to shave my head. I haven't gotten my wife's permission yet, but you never know! 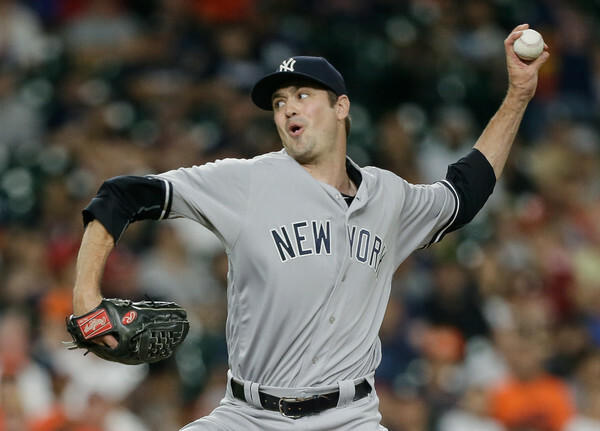 You can't just give Andrew Miller away. There needs to be a significant haul for him. 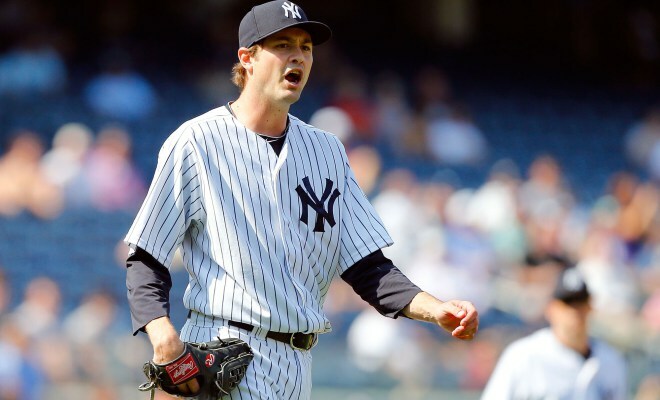 Now, I'm the first to suggest that trading Miller is dumb anyway... but there are several that think I'm wrong and explain themselves very well, and we'll have a rapid reaction to our piece I DON'T UNDERSTAND THE MILLER RUMORS... tomorrow right here on Bleeding Yankee Blue. 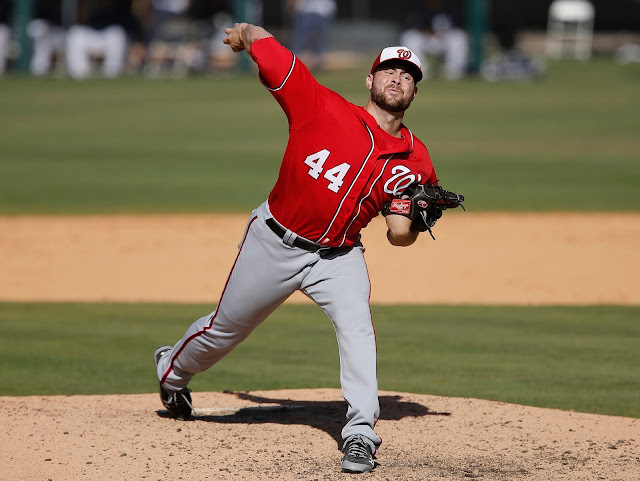 "...Washington Nationals top prospect Lucas Giolito wouldn’t be enough of a return for the Yankees to move Miller, sources say. In discussions with the Chicago Cubs, word is the Yankees asked for slugger Kyle Schwarber plus more for Miller...."
And that falls in line with what many believe. You don't hand Miller over without getting a significant Prospect Basket of goodies. 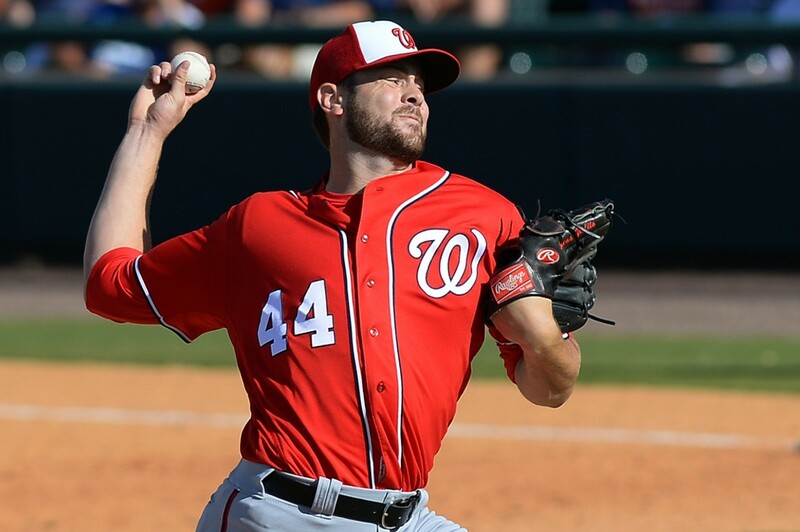 Yet, some thing Giolito can be enough. Yes, Giolito is 22 and great, but it's my opinion that he hasn't done a lot in his major league career... it's uncharted territory and therefore... who knows what we'd get and if it's the equivalent of a Miller. And yes, it's the future and I get all of that, I just don't agree going Lucas for Andrew! That being said, Heyman writes: "Washington’s No. 1 overall prospect has also managed 83 strikeouts against 36 walks. Giolito was notably selected by the Nationals in the first-round of the 2012 MLB Draft." But yes, it's still not good enough for me. I want alittle more. And so... if I'm the Yankees.. 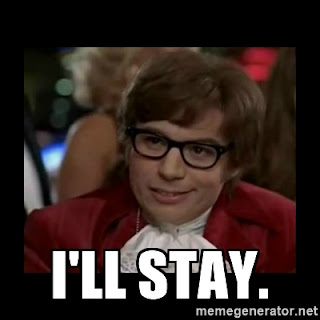 I stay... for now. 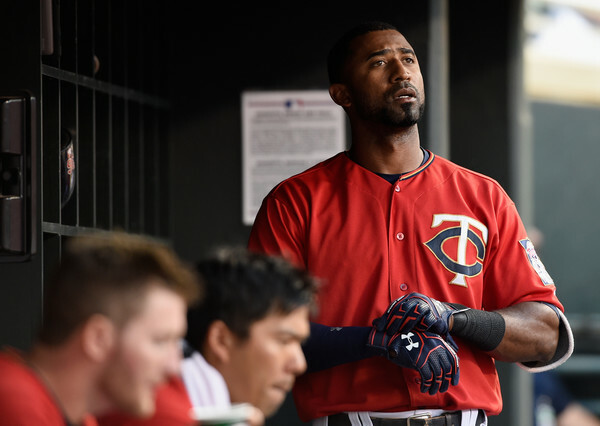 Earlier this season we at Bleeding Yankee Blue did a write about about former Yankee Eduardo Nunez and he finally finding a home in Minnesota where he can grow and become the ballplayer that he never became in New York. 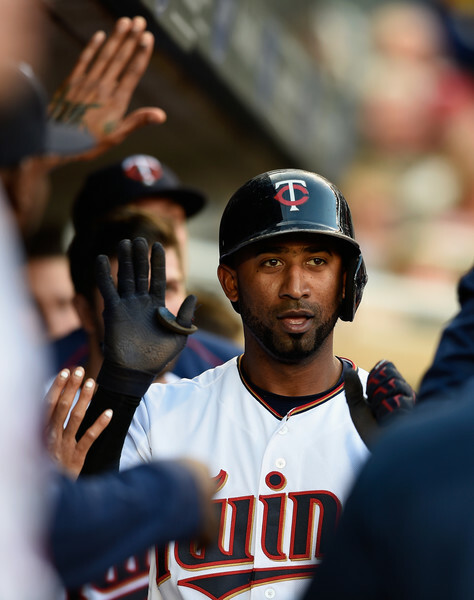 Read NEW LIFE IN MINNESOTA FOR EDUARDO NUNEZ for more about that. "Looking for injury insurance and depth, the Giants acquired All-Star infielder Eduardo Nunez from the Minnesota Twins Thursday in exchange for minor league pitcher Adalberto Mejia. Nunez, 29, is hitting .296 with 12 home runs, 47 RBIs and leads the American League in stolen bases with 27. 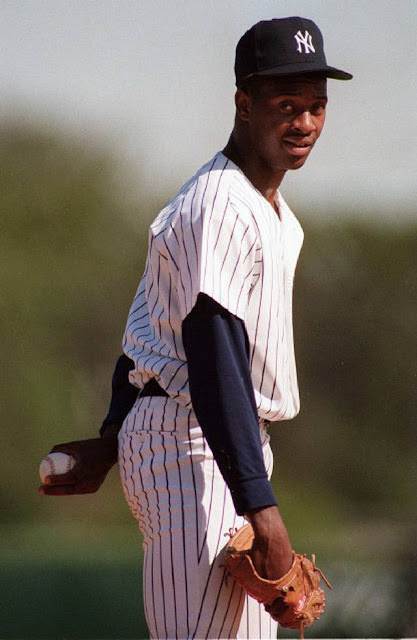 He has appeared in parts of seven seasons with the New York Yankees and the Twins." And so yes, a deal is done, and Nunie starts over... in San Fran. I just needed to keep you in the loop on that. Nunez may not be a Yankee anymore, but he's still loosely part of the Yankees family. So logically we needed to do what we had to do with Aroldis Chapman. In that trade we got Adam Warren back and Gleyber Torrres became a Yankee. OK, I love it. Plus, "God willing" as Chapman says, maybe he comes back to the Bronx next year and continues to close for us. 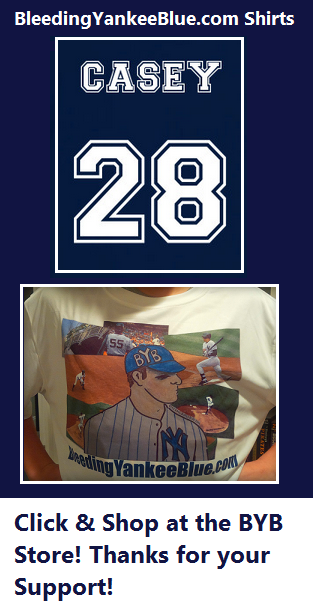 I loved him in the Bronx, but again... we did what we needed to do. Now the Yankees appear to be winning, and when that happens, you kind of teeter on the "do we become sellers?" or "don't we". I mean, the trade deadline is Monday. 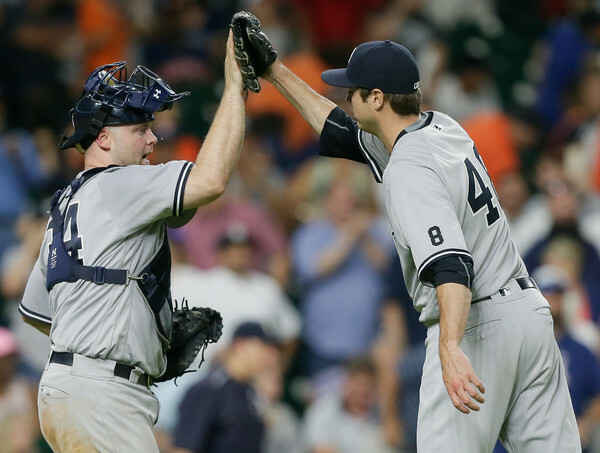 The Yankees are 6 games out of first place in the AL East and in the Wild Card, we're 3.5 back. This is hardly a time to give up our closer, don't you think? 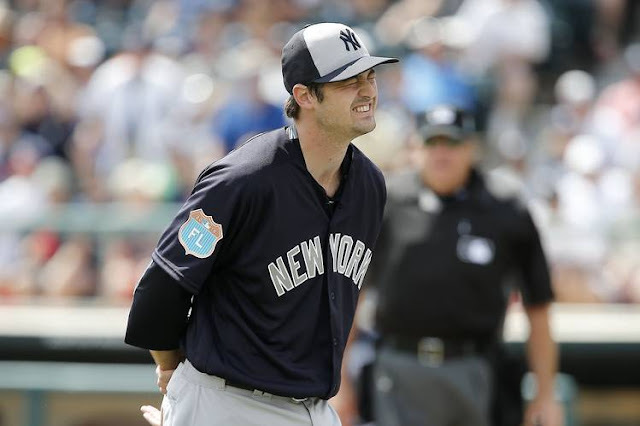 "Which is why GM Brian Cashman no doubt continues to hope that the Nationals will take a similar of view Andrew Miller as a vital piece in their championship puzzle, and trade the Yankees one of their promising young starting pitchers, Lucas Giolito or Reynaldo Lopez. The Nationals, after all, have a starting rotation that is plenty good enough to win it all this season — and probably for years to come. They locked up Stephen Strasburg with that in mind, pairing him with Max Scherzer for a 1-2 punch to match up with anyone in baseball. And in Tanner Roark and Joe Ross they have two more very good starters that they control for another three and five years, respectively. The problem for them is they have bullpen issues..."
Hmm... bullpen issues, and THAT'S EXACTLY WHAT I'M TALKING ABOUT! Look, the Yankees are winning, and if we flip our second closer, the chances of that diminishes. I firmly believe that. 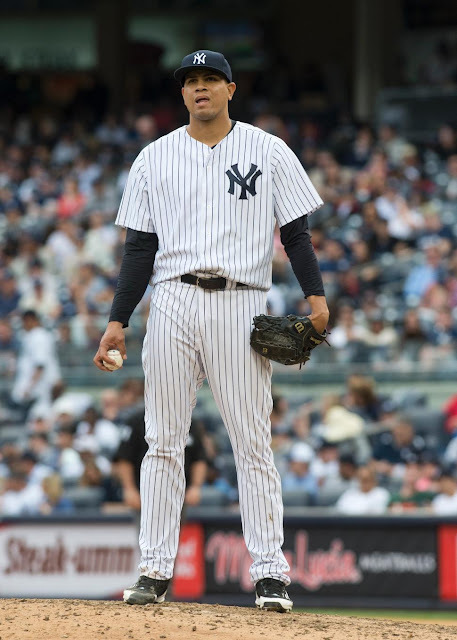 Now yes, I trust Dellin Betances, but I'm not 100% sure we can get to him if we needed to. Let me be clear. 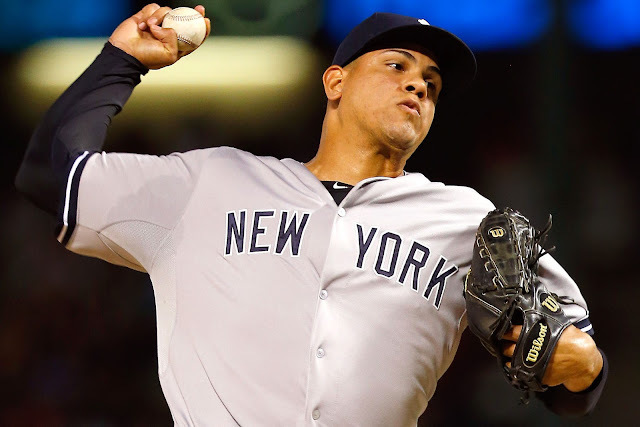 Betances will be the closer of the Yankees future. He paid his dues, he works his tail off, but Girardi just got finished talking about how D-Bet's over worked. So now we're just gonna flip Miller and make him the closer, no doubt pitching almost every single day? Who else can do it... Chad Green? No Thanks. Trading Miller at this moment is foolish in my opinion, unless the return is huge. But with the trade deadline coming up... we'll just have to see. "Now I'm not looking to trick you here. The Yankees are not a team that is connected with the Sox for Sale, but they should be..."
And what... now they are Jon? Come on man. Heyman writes: "Not to say the Yankees, still a seemingly unlikely World Series contender, are any sort of favorite for Sale (“the Rangers are determined,” one source claims, and the Red Sox also make more sense as a bona fide contender with an even deeper prospect stash than the Yankees), but they shouldn’t be discounted, either..."
OK then. Are you kidding me? Keep this in the back of your mind folks. How can I be called a "baseball insider"? Because it appears I'm doing the same thing their doing... but from my couch!